HOW TO PROTECT YOUR GATE! Gates are an investment and if looked after they will last for many years to come. Read our guide below to find out the best way to protect your gate. Wood is a natural product and can be affected by weather conditions; therefore it is important to maintain gates annually to prevent unwanted deterioration, and protect against cold winters and UK summers. We strongly recommend that all gates are given at least two coats of protective treatment or finish before they are hung and that the gates are as dry as possible before any application. Applying spirit based wood preserving treatments every 6 months just before summer and winter, with a natural brush to avoid loss of bristles, will help protect against the extreme changes in temperature. Unfortunately water-based treatments may cause the re-absorption of water, encouraging the gate to crack or allowing rot to set in, making the gate susceptible to faster deterioration. We do not recommend that you apply varnish. This timber is easier to look after as the nature of the wood means it will look after itself to a certain extent due to its natural oils. We recommend applying an initial coat of either Osmoil for oak or teak oil for iroko in order to prolong the life of your gate. However as with all timber, gates manufactured from hardwood timber will fade in colour over time – to slow down the fading process and keep the warmth and colour of your gate, use a product that contains UV protection. At Duncombe Sawmill, gates made from softwood are pre-treated to safeguard them from rot as this is one of the best ways to protect your gate. The wood is placed in a closed cylinder then vacuum and pressure are applied to force treatments into the wood. 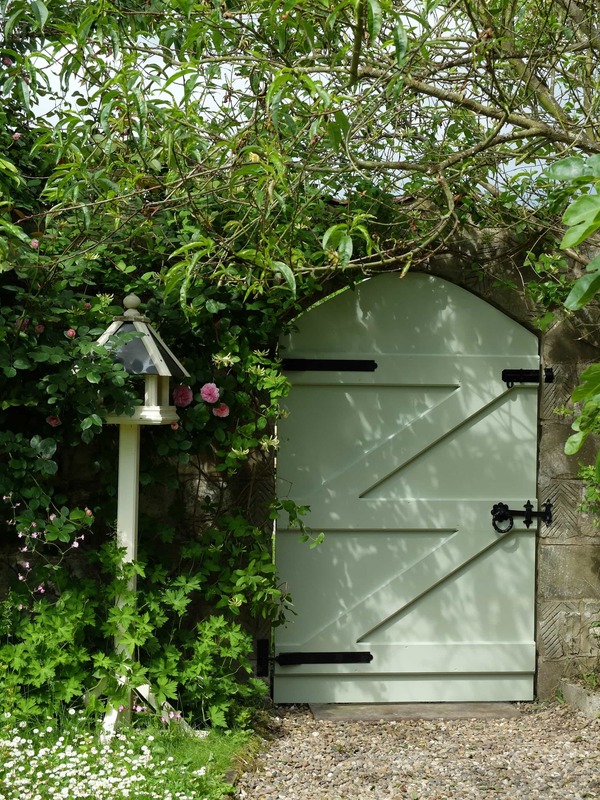 Once treated the gate needs no further treatment unless you wish to stain it for cosmetic purposes – however applying annual coats of preservative or stain will help increase the longevity of the gate. At Duncombe Sawmill we offer softwood gates pressure treated with Tanalith E. This can then be painted or stained to a finish of your choice once the gate is completely dry. Treat both sides of your product without allowing each side to dry in-between as it can put the item at risk of twisting or warping. Stain / Oil the timber in the same direction of the grain. Coat end grains of timber well including the bottom of your gate. If painting your gates, make sure that the gate is completely dry before painting. Note: Gates may shrink or swell slightly and cracks may appear along the grain, but all this is to be expected with a natural timber gate and is part of the character of the timber.